On the weekend of 25th-27th January our students and 20s community went away for the weekend to worship and encounter God, and to learn from His word. We had a really fantastic time together and God moved powerfully among us. In the Friday night session we had five prophetic words brought, which covered the topics that Andrew Bunt (our speaker for the weekend) was covering, in the exact order. It is encouraging when God does that kind of thing. Andrew spoke on what it means to have a Christian identity, how this takes away shame, and how it calls us into Holiness- mostly looking at Romans 8. It was also great to have Taiwo, John and Chris and the Mallards with us. 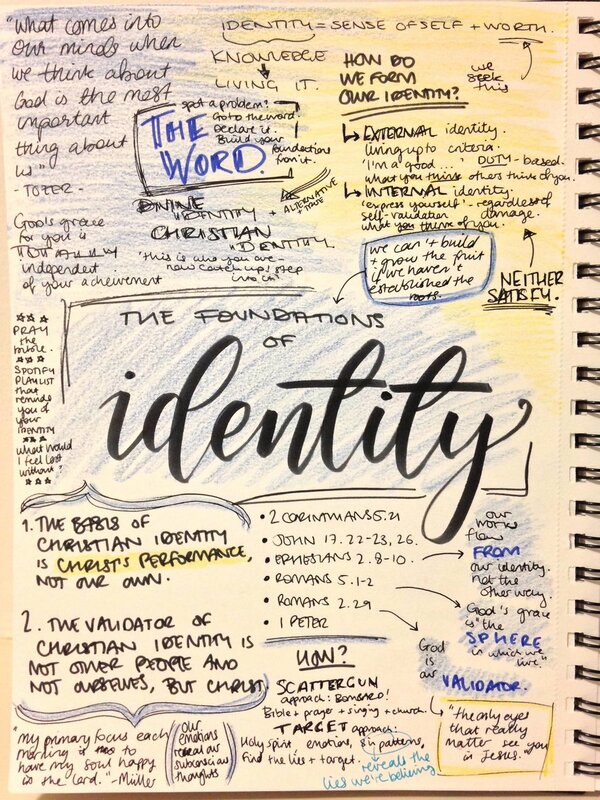 The pictures attached are some beautiful notes made by Naomi Brehm, and the sermons are available here.